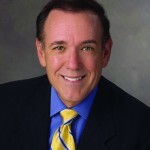 Steve Strang, publisher and founder of Charisma magazine, is an award-winning journalist, entrepreneur, businessman and author. He is founder and president of Charisma Media, which in addition to Charisma, publishes Ministry Today, the Spanish magazine Vida Cristiana and Christian Retailing. 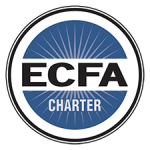 His Orlando, Fla.,-based company also includes Charisma House, Siloam, Creation House, Casa Creación, Realms, and FrontLine, plus many other innovative products that in the last 36 years have earned a reputation as the world’s leading charismatic publisher. 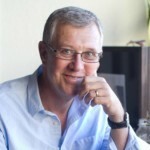 J. Lee Grady is an author, award-winning journalist and ordained minister. For 17 years he worked for Charisma magazine, one of America ’s most widely distributed evangelical Christian publications, and he served as editor for 11 of those years. He is the author of four books including 10 Lies the Church Tells Women, and he focuses much of his ministry on releasing women in ministry. He has taken his message to 24 countries. Lee and his wife, Deborah, have four daughters. They live near Orlando, Florida. Alveda Celeste King is an NAACP member, American, civil rights activist, Christian minister, conservative, pro-life activist, and author. 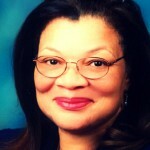 She is a niece of civil rights leader Martin Luther King, Jr. and daughter of civil rights activist Rev. A. D. King and his wife Naomi Barber King. She is the full-time Pastoral Associate of African-American Outreach for the Roman Catholic pro-life group, Priests for Life. Dr. Alveda C. King works toward her purpose in life, to glorify as she lives in Atlanta, where she is the grateful mother of six and a doting grandmother. Terry is an equity partner in United Benefit Advisors, a member of the Certified Financial Planners Board of Standards, the Society of Financial Service Professionals, the National Association of Insurance and Financial Advisors, the National Association of Health Underwriters. 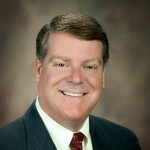 He is also an Alumnus of the Greater Orlando Leadership Foundation, and is Past President and Treasurer of the Seminole County Prayer Breakfast. 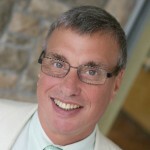 Dr. Clive Calver is the senior pastor of Walnut Hill Community Church in Bethel, CT. Previously, he was president of World Relief for seven years, where he traveled the globe, ministering to the poor and empowering the church to work together to change the world for Jesus Christ. 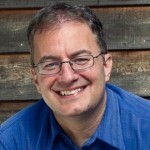 Prior to that, he was the general director of the Evangelical Alliance, linking together the evangelical churches, missions, agencies and denominations of the four countries of the United Kingdom for 14 years. He has authored 20 books and has been published worldwide in various national and print media. Ron Johnson is, a pastor, missionary, church planter and overseer with a passion to see unreached people groups of the world hear the gospel. This love for people has continued to grow through ministry in over 60 nations. After having lived and served in Europe, Ron returned to the states to pastor Bethel Temple in Hampton, Virginia. It was during this time that he founded and served as Chancellor of Bethel College, a four year accredited college. Ron is currently the Lead Pastor of “One Church” in metro-Orlando, Florida, a multi-site church with several growing congregations scattered throughout the Central Florida region. From there he continues to travel both domestically as well as internationally in leadership training. He and his wife Sandy have been blessed with four sons, four beautiful daughters-in-law and 8, adorable grandchildren.